Ardex WPM 163 is a one-component, water-based, urethane-modified, acrylic water-resistant protective sealer that penetrates and cures within the pores of the surface being sealed. 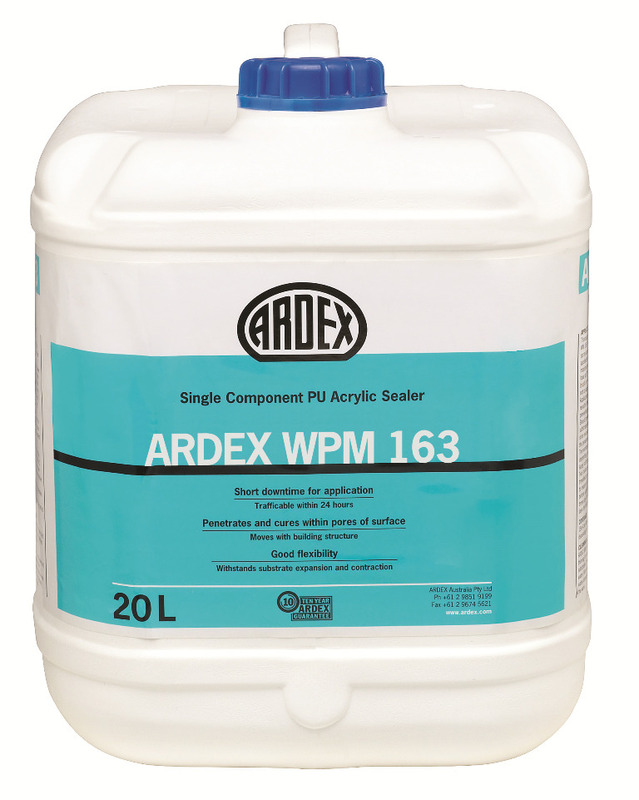 Ardex WPM 163 is semi-permeable allowing the surface to breathe and is not a waterproof membrane that will resist ponding water. As an economical single component sealer and dust suppressant for warehouse and showroom concrete floors to suppress dust formation and dirt collection with minimum downtime. As a water resistant sealer for external concrete or masonry walls to minimise water ingress while allowing the substrate to breathe and prevent internal surface condensation. As a grease and oil resistant sealer for concrete and masonry paths, paved areas, etc. 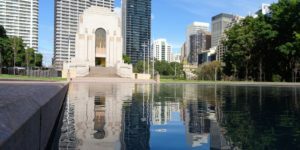 As a protective sealer for sandstone to minimize dirt and atmospheric grime development while allowing the sandstone to breathe.